One in five adults experience mental illness in the United States. At the same time, 38.5 percent of men and women will be diagnosed with cancer at some point during their lifetime. What happens when a person experiences both? According to Massachusetts General Hospital Cancer Center, cancer is the second leading cause of death among individuals with schizophrenia and bipolar disorder. Furthermore, people with serious mental illness (SMI) are more than twice as likely to die from cancer, but are less likely to receive timely, high quality cancer care. Jonathan was receiving outpatient chemotherapy when he met Kelly E. Irwin, MD, MPH, a psychiatrist at Mass General Cancer Center for Psychiatric Oncology and Behavioral Sciences. In pain and experiencing paranoia and confusion, he had been hospitalized for both medical and psychiatric needs. Instead of scheduling an additional appointment, Dr. Irwin met Jonathan during infusion. The Collaborative Care and Community Engagement Program improves the quality of life for individuals affected by both mental illness and cancer through clinical research, education, and advocacy. This patient-centered model aims to treat the whole person by integrating cancer and mental health care starting at cancer diagnosis and continuing through treatment and survivorship. 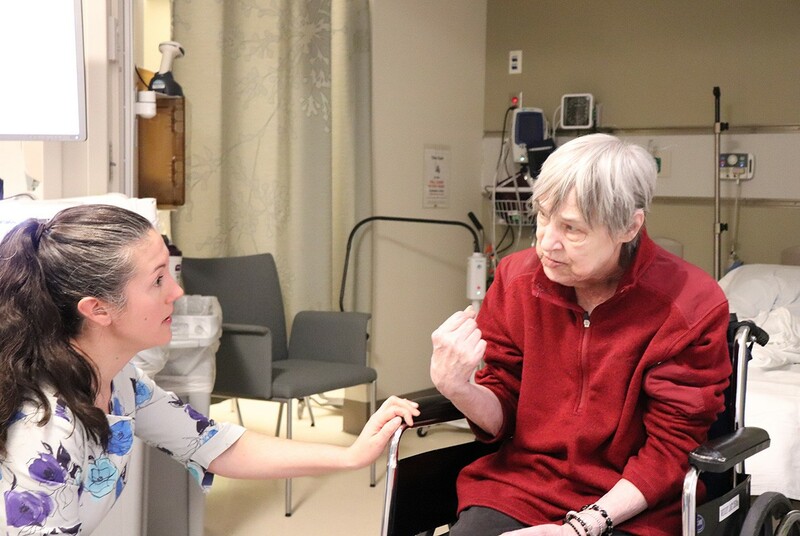 Each patient is supported and cared for by a team of cancer specialists, including mental health clinicians: psychiatry, social work, and community health navigators who provide specialty care, meet patients where they are, and partner with oncology to create a personalized treatment plan. Dr. Irwin says Jonathan and his family showed her the importance of working together as a community to serve the individual needs of patients and their families, which for Jonathan meant seeing him in the hospital and at home, and adjusting his medication to give him a clear mind. This made it possible to ensure that his values were understood as he approached the end of his life. “The thing that sticks with me, as a parent, is that his mom said to me, ‘Finally, I can stop being his caregiver and be his mom,’” says Dr. Irwin. After Dr. Irwin approached Dr. Ryan with her idea for a clinical trial investigating the impact of early psychiatry consultation on cancer treatment for patients with mental illness, they set a goal for 18 months for study enrollment. But due to overwhelming support from the medical community for this significant unmet need, Dr. Irwin filled enrollment within three months. Inspired by Dr. Irwin’s passion, Amy Corveleyn, MSW, joined the program as a social worker with the Collaborative Care Program. Corveleyn is the social work case manager who partners with Dr. Irwin in clinical, research, and educational initiatives. She is a touchpoint for patients who can reach her by phone or text, a resource for caregivers, and a bridge to communication with community mental health clinicians. The program benefits patients like Stefanie, who was diagnosed with breast cancer. After a double mastectomy, Stefanie underwent chemo and radiation, but she needed a unique treatment plan to correspond with both her cancer and clinical depression. Her team of doctors collaborated with Dr. Irwin, forming a connection that Stefanie says is a crucial part of cancer care, regardless of mental illness. She says the positive experience with the program has helped prevent depressive episodes. To create more awareness and generate support for the program, Mass General Cancer Center and the Dana-Farber/Harvard Cancer Center hosted a symposium last year to bring together leaders in mental health and cancer care to connect with patients and families, discuss stigmas, and brainstorm ideas to advance cancer care for mental health patients. “Bridging the Divide: Mental Health and Cancer Care” was so successful, it’s returning and expanding this year. Join expert panelists on Friday, May 11 and Saturday, May 12 for an exciting two days of highlighting advances in research, the best practices for cancer and mental health care, a key agenda for advocacy, and more. The second annual symposium is free to the general public and event registration includes membership in the Cancer and Mental Health Collaborative, a community network dedicated to closing the cancer mortality gap and decreasing suffering for people affected by mental illness and their families. For anyone diagnosed with cancer who feels that mental illness is preventing them or their loved ones from receiving proper treatment, Corveleyn has some advice. For more information about the Collaborative Care and Community Engagement Program at the Massachusetts General Cancer Center, visit massgeneral.org.